We offer a multitude of fire damage services, ensuring we can handle any situation our customers face. When you are hit with an emergency we are the team to call. We are fast, professional and fully-trained in all aspects of Kelowna fire damage restoration. If you’ve suffered a fire you’ve come to the right place. All is not lost. Our professional fire damage team is here to help. We understand that your fire loss is more than just a job that needs to be done. You need a team who can show you compassion and empathy. At the same time, you need a contractor who can get the job done. 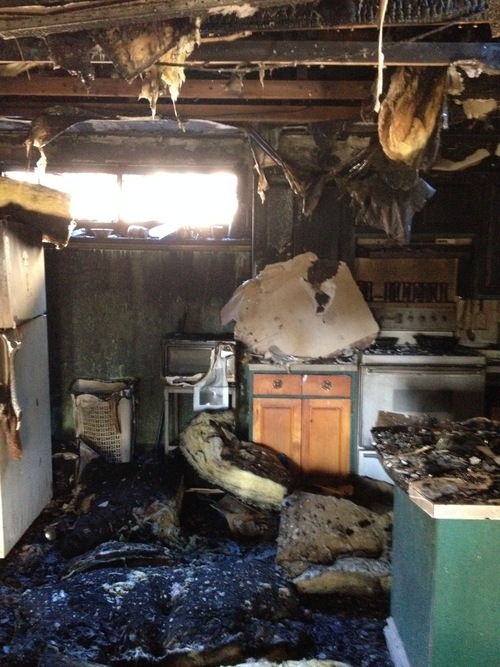 A fire can be the most devastating and destructive type of home damage. Our fire damage professionals have years of experience. Top reasons to choose Winmar Kelowna. One of the first things that should be done following a fire loss is to secure the site from potential theft and to protect all evidence for the cause of loss investigation. Specifically windows and doors should be boardup and perimeter fencing set up around the fire scene. Safety is the first concern after a fire. There are many hidden dangers in a building after the fire has been extinguished. Check for hazardous materials such as lead paint, asbestos and other contaminants. Caution – If your house is built before 1990 you may have asbestos to be concerned about. 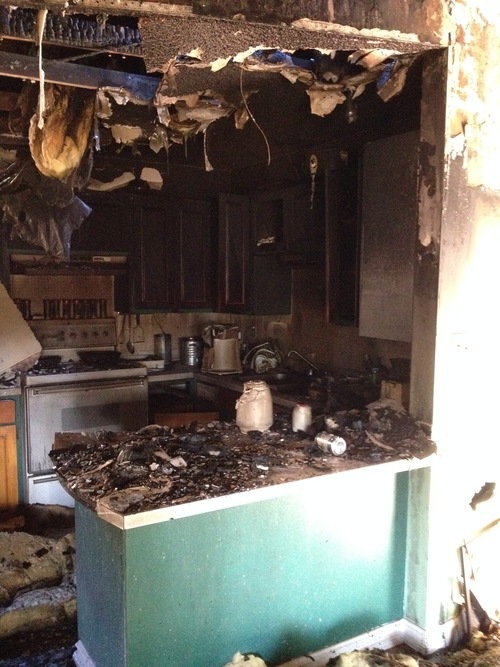 This is a kitchen fire that we were called into and what we are prepared for when you call us. We aren’t strangers to the destruction of fire. When you call us we will step you through the process from beginning to end.